Remember last week when I was all, "My bad!" about Geordan's listbuilder? Well, I have another apology to make. 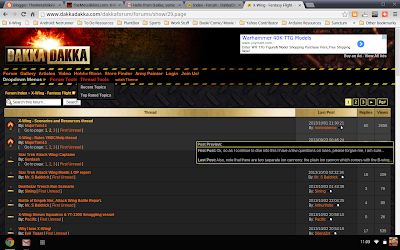 I got an email all the way back in July from a guy by the handle of MajorTom11 who is a mod over at DakkaDakka.com. 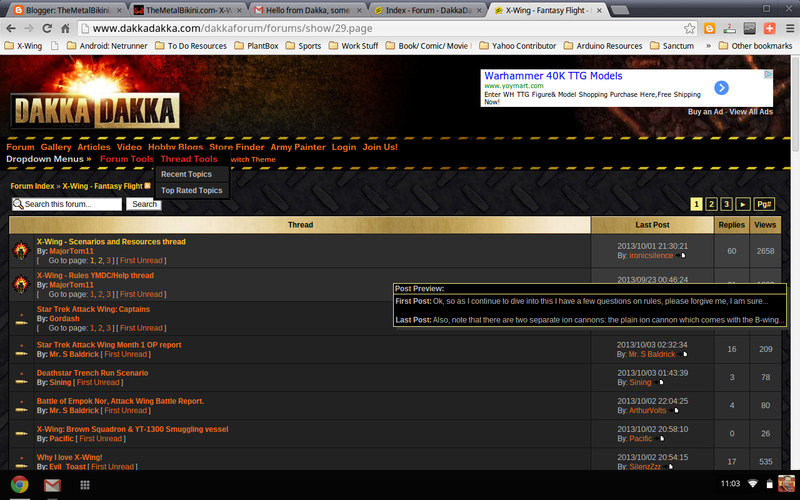 Turns out they've got a pretty sweet X-Wing Forum and he wanted to make me aware of it. I figured I'd talk a little about it on here after things slowed down for me in real life- at the time, we were gearing up for summer shutdown at the plant and when I finally came up for air afterwards, I just completely forgot about Tom's email.